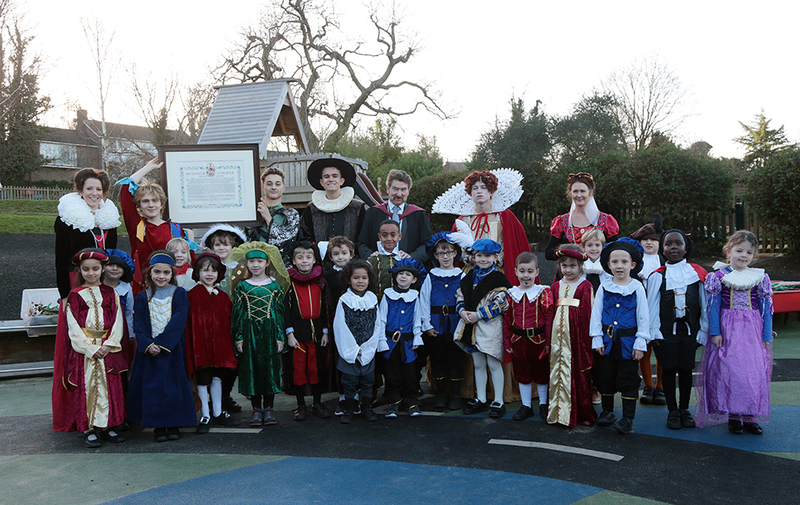 Dulwich College launched its 400th anniversary at DUCKS (Dulwich College’s Kindergarten andInfants’ School) recently with a visit from Queen Elizabeth I, Edward Alleyn, and the Master, Dr Joseph Spence. All the children were dressed up in Elizabethan and Jacobean dress,including an executioner, to greet their guests. The Queen was accompanied by her court acrobatand juggler, and Edward (Ned) Alleyn told the children about his life and the College he founded in1619. 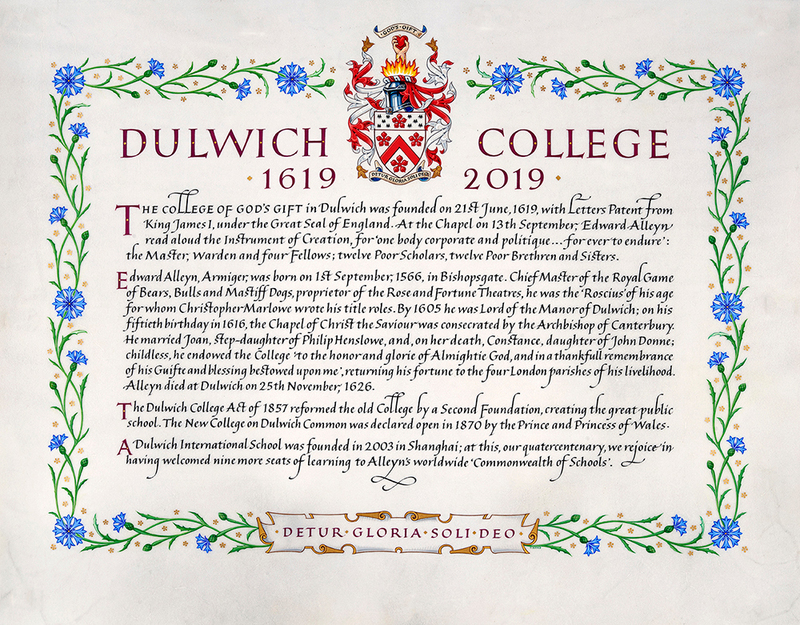 He also explained that he wanted every member of the College community to sign aspecially commissioned Dulwich Roll which would be a record of all the events that were going totake place in the coming year. After their visit, all the DUCKS children (and staff!) remained in their Elizabethan finery all day,with historically themed lessons for everyone. Lunchtime was a medieval banquet with lords andladies eating with beautiful manners. Year 2 pupils then walked to Dulwich College and found thebust of William Shakespeare as well as noticing the different architecture in the old and newbuildings. Dulwich College is an academically selective independent boys’ school in south London. Foundedin 1619, it has a distinguished tradition of inspired teaching and genuine scholarship. 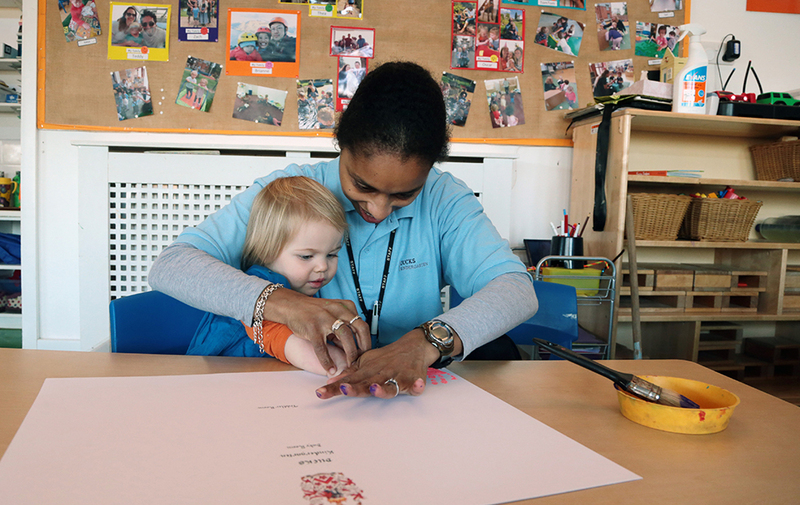 Committed to nurturing a supportive community which encourages a sense ofsocial responsibility and spiritual and personal development, pupils from a variety ofbackgrounds feel equally valued. The College offers a significant number of Bursaries each year and warmly welcomesapplications from boys who are intellectually curious and enthusiastic to stretch themselves totheir limits – intellectual excellence irrespective of background or circumstance.